ZIPPERED POUCH WITH STURDY KEY RING! Over 50 Styles & Colors of Pocket Purses Available! 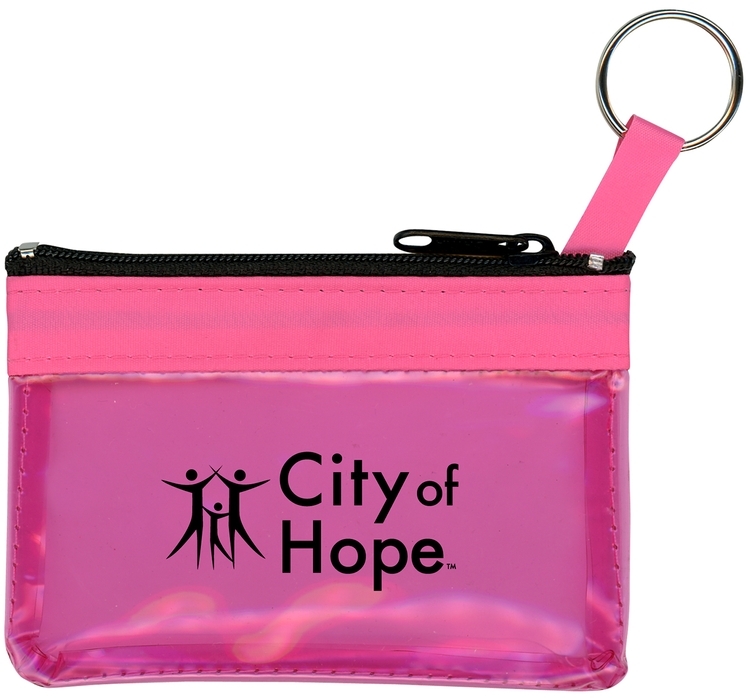 4 1/2”w x 3 1/4”h Rainbow Translucent Vinyl Zippered Pouch features a sturdy rustproof nylon zipper with a tempered steel split ring on a strap attached inside the pouch to keep keys secure. Clear vinyl has black trim and zipper all other colors have matching trim and zipper. Available in 8 Translucent Vinyl colors. Prices include a 1 color foil stamped imprint on the outside front. Silk-screening for PMS color matches, multi-color, or full color imprinting may be available, see “Options” above. IMPRINT: 5 lines of straight type foil hot-stamped in a 2 1/2"w X 1 1/2"h area on the lower front is included without a set-up or die charge, other imprint locations may be available upon request. Additional lines of straight type imprint are $5.00(A) per line, per order. SILK-SCREENED IMPRINT: For PMS matching, multi-color, or full color imprinting, see "Options" above.